This is my third read of "Programming iOS..." by Matt Neuburg and I am very grateful for what Mr. Neuburg does. Just like the previous two versions I read (iOS 6, iOS 7) I am amazed at the lengths that Mr. Neuburg goes to fully explain a feature or concept of the vast iOS API. When I first started iOS programming (circa iOS 6) I read the many volumes that make up the official Apple documentation. The official documentation is probably the best documentation I have read over the past 15 years of software development. However, just like a great owners' manual, the Apple documentation tells you everything about how their product is constructed, the options, features, etc. Apple tells you all about the iOS API, but not really how to USE the iOS API. It is somewhat like buying a new lawnmower. You read the owners' manual and find out everything about the machine, even basic 'operating' instructions. But, they don't teach you how to cut the lawn. That comes from experience and hands on training - of which there is no substitute. Mr. Neuburg's books provide what Apple's owner manual does not - a true Instruction Manual. Side note : The Swift Programming Language published by Apple is a great improvement on documentation. I read the book on the way home from WWDC 2014 and learned about Swift. It is a good starting point - not as good as O'Reilly's "Swift Pocket Reference" if you have programming experience. Back to "Programming iOS 8". Mr. Neuburg provides a logical breakdown of the API into four broad topics - Views, Interface, Frameworks, and Final Topics. Other than the first version of "Programming iOS" I don't feel the need to read the book cover to cover. I start programming and when I run into a hurdle I consult my 'references'. Sometime I just need the Apple documentation to help me 'find' what I am looking for in the API. But, most of the time after I find what I am looking for I am still at a loss on how to use it. Then I turn to "Programming iOS" to get some instruction. "Programming iOS 8" is a large book. If you are just starting out with iOS programming I would also recommend another book by Mr. Neuburg, "iOS Programming Fundamentals". Starting with the iOS 7 book Mr. Neuburg removed all of the IDE and basic instruction and put it into a separate book. 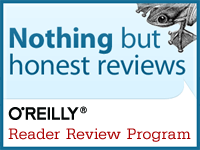 I just finished reading O'Reilly's "Swift Pocket Reference" by Anthony Gray. This book is the go-to shortcut for existing programmers to get up to speed on Apple's new programming language Swift. Apple's own book on Swift is 458 pages of very well written explanation of the new language's features. I never got past the first few chapters. As an experienced developer I don't need all the detail that Apple offers in their volume. Mr. Gray has provided the perfect balance of useful information and brevity! "Swift Pocket Reference" starts out with some good instruction on using Xcode's command line features and playgrounds for quickly writing code snippets to test ideas or learn the language. Next Mr. Gray takes you through the Swift language features very similarly to the Apple documentation. This is good for a couple reasons. If you don't get all you need from Mr. Gray's book you can find a similarly named chapter and section in the Apple book that will fill in details in more depth. It also allows you to read two explanations of a concept to get a better picture. Don't get me wrong, Mr. Gray is not merely rehashing the Apple documentation like many reference guides will do. Mr. Gray is explaining each feature of the language in a very precise manner providing examples of every feature in action! I can't express strongly enough how well this book provides both the explanation and example so well. I attended WWDC 14 and sat through several Swift language seminars during the conference. I was amazed time and time again as I read through Mr. Gray's book that there were features in the new language that I was not aware existed. I also appreciated the very readable style of writing used throughout the book. Many reference guides can be overly technical or too brief - this book feels just about perfect when it comes to readability and depth of content. This book will be used by me in my daily Swift writing projects! 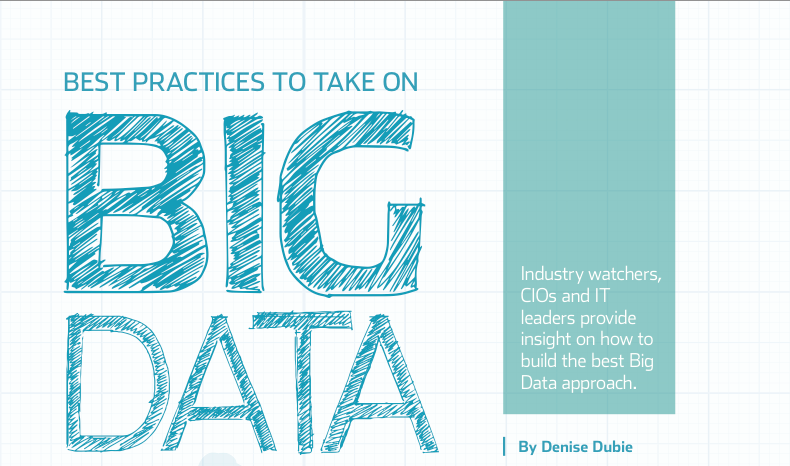 Just finished reading a thought provoking article on Big Data "best practices" for setting your Big Data strategy. The article can be found in Smart Enterprise magazine and was written by Denise Dubie. Ms. Dubie does an excellent job of surveying CTO/CIOs with Big Data experience and some of the challenges they faced getting their strategy in place. One of the important things about Big Data that Ms. Dubie reminded me about was how "disorganized" data is one of the principles at the foundation of Big Data. Being able to tie together data from different sources to make informed business decisions - that's Big Data. In fact, here is the book on that subject written by Lisa Arthur, one of the keynote speakers at the upcoming Teradata Summit. I will also be speaking at the summit on the subject of "Adding to the Power and Reach of Teradata Marketing Studio Through Integration". I will close this post with a quote from Ms. Dubie's article - taken from her interview with John Michelsen. I hope you are thinking about Big Data and will read this excellent article. I also hope that you can join me at the Teradata Summit! If you are in the technical field and have not at least heard the term "Big Data" then you have either been on a very long vacation or living under a rock. Do you need a place to get started? Here are a couple of the books from my bookshelf that helped me. I'll be honest, I have not read them cover to cover but instead use them for reference. For instance, if a coworker says, "I think there is a problem with the Sharding or the MapReduce algorithm" you can smile, quietly go back to your desk, open these books and be up to speed in no time. Here is an except from the beginning of Big Data for Dummies that sums up the business drivers behind the Big Data movement. "Managing and analyzing data have always offered the greatest benefits and the greatest challenges for organizations of all sizes and across all industries. Businesses have long struggled with finding a pragmatic approach to capturing information about their customers, products, and services. When a company only had a handful of customers who all bought the same product in the same way, things were pretty straightforward and simple. But over time, companies and the markets they participate in have grown more complicated. To survive or gain a competitive advantage with customers, these companies added more product lines and diversified how they deliver their product. " 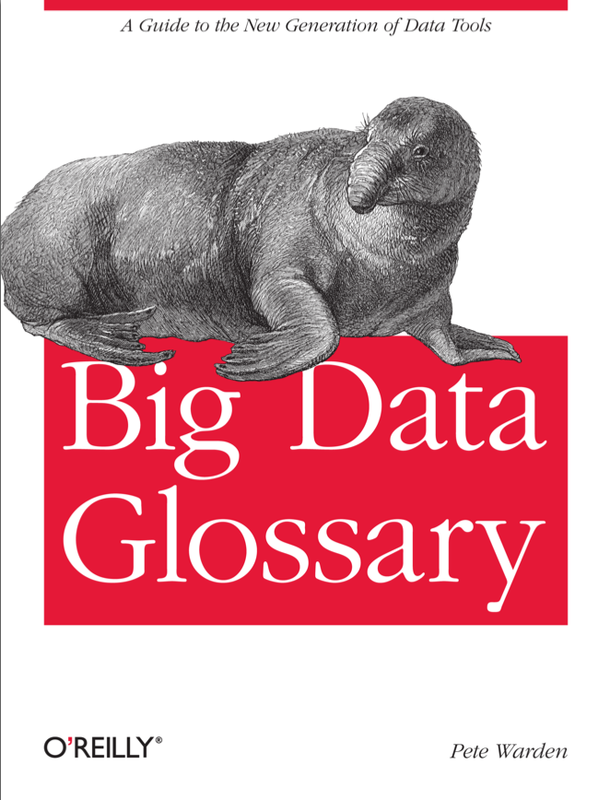 If you have a database background or are already familiar with database programming then Big Data Glossary is a quick and easy reference to consume in nice neat segments. 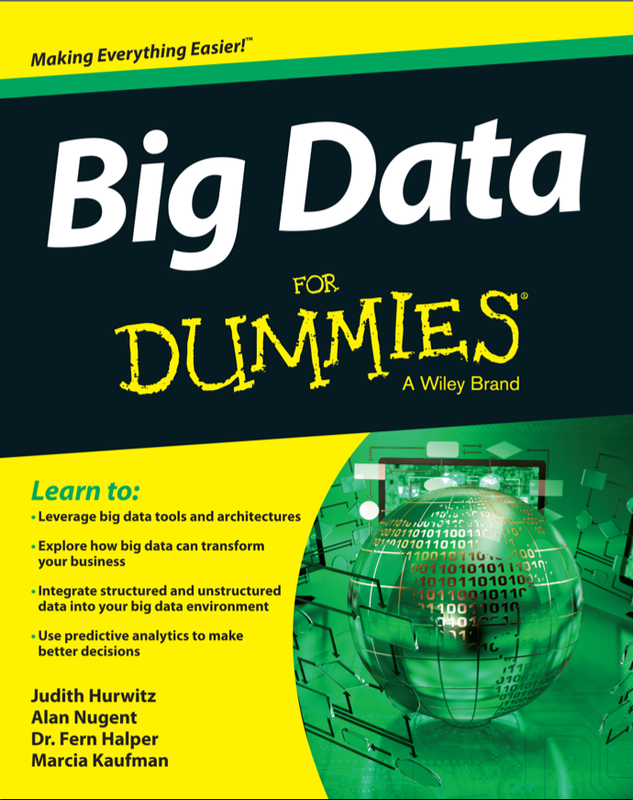 The book is broken down by the major categories involved with Big Data. What are NoSQL databases? No problem, there is a chapter on that. What about storage? Again, no problem, there is a chapter for that. It's not too late to get up to speed on the next big wave in computing. Did you miss the "cloud" wave? Don't miss this one! 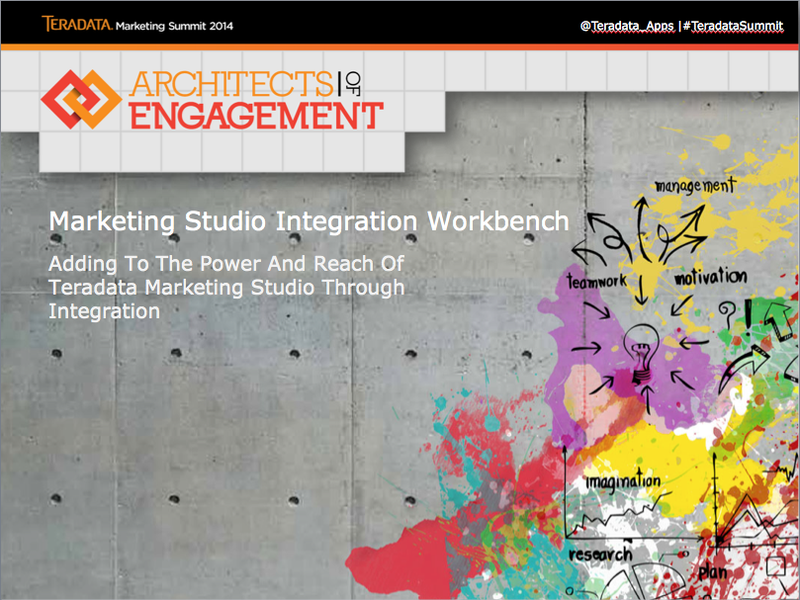 Next month I will be speaking about using data to integrate with Teradata Marketing Studio. If you have the problem most businesses have with reaching their customers effectively then join me in L.A for the Teradata Summit. Wood, Zaidman and Ruth have written a very interesting book on a subject that will be new to most technical people. As a application architect I have been aware of the terms for several years but didn't know any of the details. This book provides the details! I was one of the reviewers of this book I very much enjoyed digging into the updates as they came out - each one adding more excited details about the future of integrating big data with a web user's experience. The authors have packed a lot of information into their book. It covers the history behind the Semantic web and Linked Data, a throughout explanation of the technologies involved, as well as the application of Linked Data including examples and tutorials. If you have ever wondered why the products you were browsing on Amazon are now showing up as ads on your Google search results this book explains how the forward looking internet architects are making that happen. This book is a bit different from most of the technical books I read. It provides all the step-by-step tutorial type information but also reads like a textbook on the subject. Take your time reading it and enjoy! How does this book relate to the previous post? 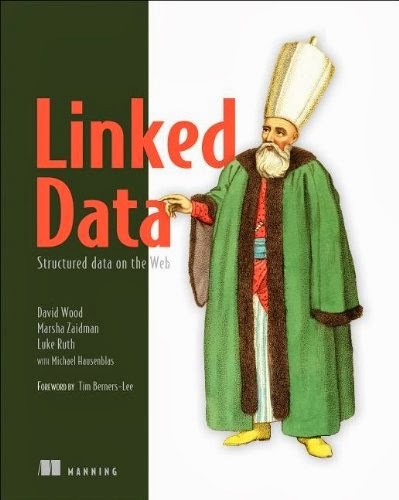 Among other things, Linked Data is about getting to know your users's patterns and interests. In order to engage them in a way that crosses their patterns and resonates with their interests you need data (Linked Data) and a tool (Teradata Marketing Studio). I will be speaking at the upcoming Teradata Summit in Los Angeles, March 10-13, 2014. The topic of my short presentation is "Adding to the Power and Reach of Teradata Marketing Studio Through Integration"
During my presentation I will be discussing how my coworkers and I at The Rivera Group have integrated Teradata Marketing Studio with the U.S. Army's marketing systems. Among the systems that we have integrated are the Army's Enterprise User Management system. Using Teradata's powerful Integration Workbench tool we have connected existing complementary systems with Teradata's Marketing Studio. These integrations allow the U.S. Army marketing team to generate purchase orders through their PO system using real-time data from Marketing Studio. In addition to purchase order automation the U.S. Army is also able to view all their upcoming marketing events on an interactive map using a integration with Google Maps developed by our team of IT professionals. I would be happy to share with you more details about how we have integrated outside systems with Marketing Studio.